Succeed with support: how your social group can help you achieve in fitness (or anything else). In the group we most associate with most, lies a key contributor or detractor for the success that we deserve. If you’d like to find out if your social network is helping you succeed in your health and fitness goals then fill out this very short survey here. 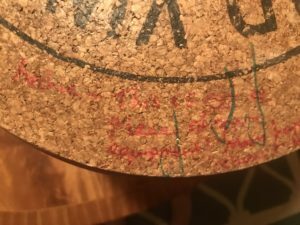 A small note written on the side of our giant cork we have in our kitchen. A wedding gift from some friends, that we had everyone sign or write a short note or word of advice on our wedding day. A great memento of a fantastic day. The short note represented such an example of two opposing opinions. The funny thing was, the cork is heavy, awkward and would be an excellent substitute for a heavy dumbbell if I was stuck for equipment and kit and wanted to do a workout. It was written by a uni mate who was anything but athletic. To him it must have seemed bizarre and a bit odd, me lumping round a left over curb block which I’d ‘salvaged’ from a building site, bundled into the back of my car, and served me for a year as a decent weight to do workouts in our university house garden, overlooking the beautiful town of Falmouth, in Cornwall. To my uni mates, I was a bit weird, because while they’d be getting up, having their cereal breakfast, and strong coffee, I’d already be done and dusted having had my breakfast earlier, post workout, showered and ready to head to lectures. They did work hard though, it’s just twice or thrice weekly curries that we may be disagreed on. Luckily, I was focused enough to maintain a good routine, until I became enamoured with a girl at uni, who liked making cakes. I ate so much cake over one summer, I stopped training as much and my six pack went to a four pack. They laughed, but hey, I was still getting laid. Back in ’08 when I thought trying to balance on the front of a light longboard was a good idea. Ultimately it was not a match made in heaven, and I got back on the routine, of fitness, cold showers, and only the ‘semi-regular’ curry with my housemates. With my six pack back, I was feeling good, and have learnt that ultimately the cakes not worth it, the feeling of being fit and healthy is. Consider this, when you’re trying to workout, do the people around you support you in it? For instance saying things like “you go get your session done, I’ll look forward to when you’re back” (an example from wife) not “you’re going to work out now?? ?” (also from my wife!). In relationships, support is everything. Especially when it comes to personal goals. Understanding where the other is coming from, and knowing what they want, makes living together, and working together, cohesive, fun and ultimately successful. In a relationship (or surrounded by unhealthy work colleagues for 8 hours a day) if there isn’t a decent level of support in your goals, then making them turn from dreams to reality is going to be much harder. In fact, they might not even be possible at all. From working successfully with clients, sometimes, I’ve not even discussed diet, or training, until, we’ve worked out, how to get the partners on board. If you don’t have a partner, it’ll be friends and family who’ll probably have the biggest influence over you and your health endeavours. If you don’t have what you would call a ‘supportive network’ around food and eating, don’t despair. Neither did I. Now, I’ve got nothing but a supportive, amazing community, wife, friends and family, because of a few simple strategies which I’ve employed (and still use) over the last 7-8 years. Communicate your goals effectively, earnestly and honestly to a loved one. The best way to do this is to sit down with a pen and paper write them out (a list of about 5 will do) and put a timeline on those goals. Then explain to your loved one, friends or family member the meaning it would give you to accomplish these. Expressing sincerity with your goals, helps to allow you to be more vulnerable, and endearing to the other party. Making them more likely to be fully on board in helping you (especially if they come up with a plan to help you get there). Making it clear that this is really important to you, and you can’t do it without their support, and help, will help them to feel part of the process and part of why you’re going to succeed with this. This step is important because giving them a sense of purpose within the realm of this goal, will bring you together and make it much more likely that you’ll have at least one person who will help. If this conversation doesn’t go well. Find someone else to have this conversation. If you must make this work with the other party (for instance you live with them!) then try a gentler approach over a sustained period of time. Bring it up often, and their negative response will lessen over time. You will eventually ‘wear them down’ to the point where you make it your goal to get them on board first with you achieving these goals. Two people working on a goal is better than one. Join a group of people who have similar goals. Whether this is a gym, club or social group, having friends who are on a similar path is going to dramatically increase your likelihood of success, because they will help you see methods of success that you didn’t see before. They’ll offer a different perspective and with any luck, inspire you along, when times are tough. Being part of a WhatsApp group is highly beneficial in this regard because communication becomes more frequent and sharing information becomes easier. Explain to your work/boss that this is your goal. The key influencers at your place of work will have a major impact on your success. If they know you’re going to be starting later every Tuesday and Thursday because you’re finishing your longer workout/run/bike ride/swim on these days, but you’re going to be finishing later then this can be a help to them in understanding better you movements (if they’re expecting you to attend an office at a set time). You could also do an event for them which helps promote their brand or if they have a charitable arm, gain sponsorship from them if its a run or a challenge such as a tough mudder, and then they’d be getting a direct benefit from you accomplishing your goal. You could always invite your boss/work colleagues along to do the challenge with you. Gaining support in the office for a diet bet, or having the no junk food rule in the office can have a massively positive impact not only on your success but on those around you. Invite people to join with you on something diet bet if your goals are weight loss related. Even being part of something like weight watchers, or slimming world can still have a hugely positive impact on your success because it’s a supportive community geared towards helping all of you succeed, and providing a level of accountability which you wouldn’t otherwise have if you weighed yourself alone. It provides a space to talk about things with like minded individuals who’ve already been where you are now, and can help provide an outside perspective that is impartial and objective. Employ a coach who’s already done it. Professional coaches, are trained in how to help you get from where you are to where you want to go. We know how it feels sometimes, and we can be a positive source of knowledge and support to help keep you on track, and enjoy the success that you deserve. We all need coaches at some point in life. Why not start right now? If you’d like to learn more about whether you could do with some extra strategies to help be more focused, and gain extra support from those around you take our all new social support questionnaire. It’s totally free, and if you’d like to talk some more put your details into our get started page here. 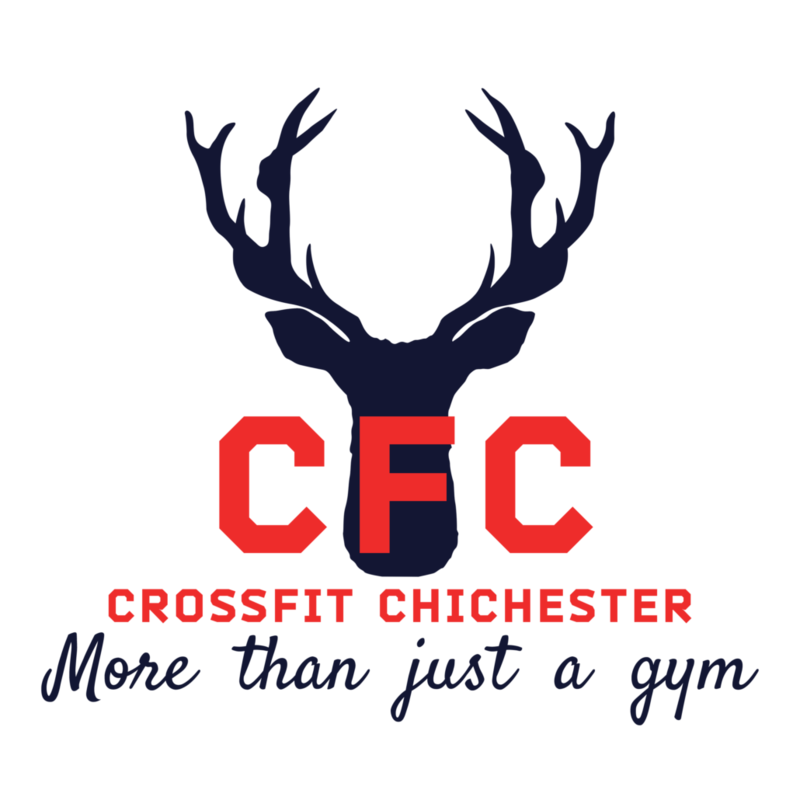 http://crossfitchichester.com/wp-content/uploads/2018/10/white-stag-on-trasparent-logo-300x300.png 0 0 Lydia http://crossfitchichester.com/wp-content/uploads/2018/10/white-stag-on-trasparent-logo-300x300.png Lydia2019-04-19 22:35:052019-04-19 22:35:05Succeed with support: how your social group can help you achieve in fitness (or anything else). If you’re short of time, or in the car, you can download the article here and listen to it. Injuries change lives. They affect how we move. They affect how we sleep. They affect how we think. They affect how we feel about ourselves. The truth is that injuries happen. No matter what sport you’re in. However, that does not mean that you can’t turn an injury into an opportunity to grow. The first major injury that happened to me, was riding a bike down hill. I had no helmet. I had a narrow path to stay on. I was going too fast. At the bottom of the track was a small bridge. Either side of the bridge were concrete posts and a metal bar. As I approached the bridge, I knew I was going too fast and knew I didn’t have time to break. I hit the post with my handlebars, was flung onto the steel bar, and proceeded to crack both front teeth, and badly cut open my arm. I was 10. Not a great move. It took me a few weeks to recover and have the stitches removed (I did that at home myself because I thought it was cool) along with a trip to the dentist. I didn’t learn the lesson though, and following that accident, I proceeded to have a second more serious crash. This time it took me out of rugby for a year, and pretty much stopped any chance of being a professional player later on due to the severity of the injury to my neck. Oh well. The good thing was, that I then became really good at judging when I was going too fast and showing off. Now, I’m much more cautious, and have managed to avoid anything of that severity since. The view I now take is that there is always something to be gained in equal proportion to the accident. Every injury that you suffer (and they will come) is a gift. In our training program we see a great deal of people who are injured (a most, you’ll be happy to know are injured outside of the gym). However, it often affect a person’s mindset towards training, and will if confidence has been lessened often prevent them from continuing with us. For us, this can be frustrating, because it’s my goal to help as many people as possible, live happier healthier lives, with or without injuries. The major benefit I see, is that it is an intensely personal event. Therefore, forces us to forget all competition, and focus solely on our own progress. This in an of itself is a massive gift that can be unlocked, if then set realistic metrics for success, you can begin working towards them. If for instance you’ve injured your back, and it hurts at night on a scale of 1 to 10 pretty close to a 5 or a 6. The goal I would set is to find things that lessen the pain, so that I can lower it down to a 3 or 4. In this instance the method may be a combination of seeing a good physiotherapist, and performing twice daily mobilisations to the glutes and back muscles and surrounding tissues using a lacrosse ball, with a weekly sports massage. In this case, back pain can be lessened and voila, you’re on the path to recovery and feeling good because we can feel like we’re making progress. A second example, for myself has been my right hip. I’ve damaged it in some way. Meaning that I can no longer perform single leg squats. It goes weak at a certain point of hip flexion (when my knee gets closer to my chest). So, my metric of success is currently, to increase gently the range in which it feels strong and stable. So far, I’ve scaled back my progressions, to one which I can feel the same recruitment of muscle fiber in both legs, and then over the last few months have been progressively increasing the depth of the squat, and soon will be able to increase the difficulty of the progression further once I’ve developed further strength and stability in the joint. 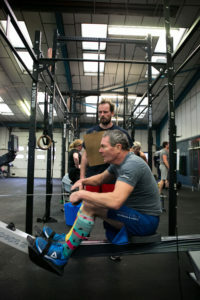 In this instance, I never would have quite focused so greatly on the nuances of a single leg squat as much had I had not experienced this injury. I wouldn’t be emphasising the point as much of glute activation and strengthening. Of watching for valgus (inward) knee in my clients as much, had I not been experiencing this injury to my own right hip. In fact, getting injured in my right hip has been a god send. It’s allowed me to become a more caring and diligent coach as a result and allows me the opportunity to help my clients before they get to this point. It’s also forced me to focus more on gymnastic progressions, rather than lifting heavy weight (I’ll get back to those later). I suspect that any injury within the body, can be seen as a metaphor in how to approach challenges in life. That is why I believe so passionately in the benefit of injury. The opportunities they present are unique and will lead each and every single person on a journey they never thought they would take, and with the right approach, setting proper and achievable metrics for success, we can come to appreciate them for the gift which they really are. If you’re injured, or recovering from one, it’s also important to concentrate movements that you can do, in recovery, and not focus on the movements you can’t. Our classes are intense, but they can 100% be adjusted towards each individual person. For those who are curious, I’ve added this guide which you can download here, and use any time you come to a Crossfit class and are not sure what movements to substitute to. Let us know what you think in the comments below. Back Pain – Some tools to help fix it – link here. 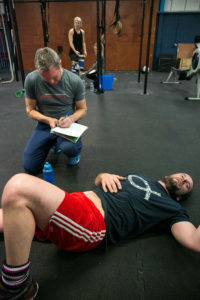 Terminal Knee Extension – Link here. When I first begun my fitness journey I was ten years old. I was doing pull-ups on the gangway of our boat, that was my home for a short period of time. I was so proud that I could do 5 and I remember showing off my strength to my friends because I thought I was pretty cool being that strong. It felt like if I could be anything, I could be fit and strong. Right through my teens, I began training in the school weights room. We lifted weights with the standard bench press (my then favourite lift) and the pull-ups bar, while we were in or out of the rugby season. As these kinds of movements bored me, I began looking elsewhere. I looked for that level of interest in martial arts. I looked at in home training programs and I looked at it from books, from deadlift specific programs, or kettlebell specific programs. I found the things that fascinated me and kept on studying and learning. It quickly became apparent that there were holes in my fitness that I hadn’t addressed. I felt like trying sports such as surfing might help, and they did, because I became less self conscious with the way I looked and more focused on how my body could actually perform. Being someone who was always conscious of how ‘lanky’ they were, as a teen, it was a significant shift in self acceptance that was beginning to develop in me that in truth hadn’t been felt in a long time. Something, all of us will eventually do at some point in our lives. 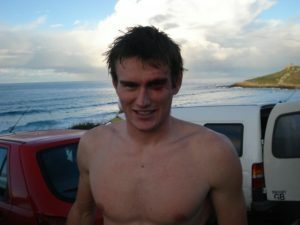 After discovering that surfing was not competitive enough for me, I began looking back to the sport I’d grown up with: rugby. Still, it wasn’t enough. It didn’t capture my fascination anymore. As much as it used to be fun, we as players weren’t getting any better. Only when I took my brother to this tiny little gym on top of Portsdown Hill that I discovered really what I’d been looking for. A fitness program that covered all the bases of athleticism. One where we developed strength and cardio vascular fitness. Where the movements required a high level of skill and flexibility. Where I was able to feel good, not about how my body looked, but about what it could do. That was the major difference, because this training program allowed me to focus on developing my bodies’ ability to get fitter, and to be stronger, more athletic, rather than aesthetic. The training program that I discovered was called CrossFit. Proper coaching is the backbone of a good training program. Currently to the majority of the population, the fitness industry places the emphasis on the aesthetics of exercise. The images, the plans, the focus is too much on how your body looks, on how your abs look under top lighting, or how you look in swimming trunks or a swimming suit. I certainly for a time felt that getting ‘beach ready’ was more important than ‘life ready’. The frustrating aspect of this focus, is that often leads to feelings of self-doubt, self-consciousness, and envy. Although we have some control over how our body looks, it seems that we have more control over the effort we can put forth today, than the way our body may look in 6-12 months. 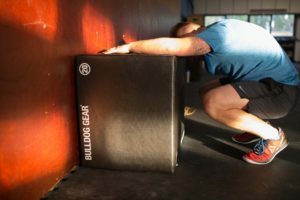 This was a real and measurable benefit to altering the reason for training in the gym. This realisation, not only happened to myself, but as we are seeing all around the world (and in our gym) is that the other two balancing reasons for exercise (health and performance) are coming much more into the forefront of people’s ideas as to why they’re training. What we’re beginning to realise is that taking care of yourself, has impact way beyond the way you look. 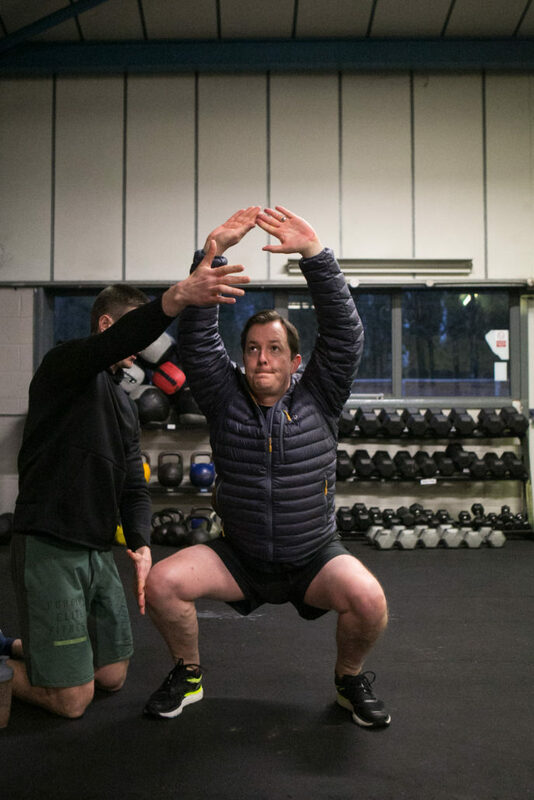 As a coach, some of greatest transformations that I’ve witnessed, have been when the client focuses more their physical performance via setting a specific athletic goal (for instance run the london marathon, or do an assisted pull-up). In this light, it’s our belief at our gym that, children nowadays, would be more successfully athletic if they were encouraged to focus more on their strength, than their waist size. Seeing increases in performance can far more readily be seen by you and others than losing 1 inch around your waist. Most people will experience comments after 6-12 weeks of following a regular training program about how they look, whereas they might have noticed that their strength had increased already from just week 1 to week 2. Getting these visible signs of being fitter and healthier come far faster when this focus on athletic performance is encouraged. For instance our teens program is 50:50 girls and boys. The girls often out lift the boys, are more coordinated and more powerful than the boys. Up until the age of 13-14, both girls and boys are on a level playing field when it comes to strength. CrossFit is also one of the few sports where men and women are paid the same in prize money. Girls and boys, who adopt these training practices early in their childhood also stand less chance of injury in other sports, due to the development of more strength than we can usually expect from kids that age. It’s important to remind yourself that there was a time, probably when you were under the age of 6, that you could squat bum to ankle, and stay in that position for as long as you wanted. Try that now without assistance, and you’re part of the small proportion of westerners who can do that. Learning how to look after your body from an early age is exactly the 1% course correction our kids need to have massive success later on. When looking at obesity rates in the UK alone, 26% of the population are obese and 61% are overweight. The health services, are now beginning to show signs that cure is no longer the solution, and prevention is going to become the new way forward to healthcare in the modern world. Recently, I was reading the recommendations from the midwife on what a pregnant woman should be eating as part of a low glycemic index diet, and more or less all of their foods, were in line with what I as a nutrition coach suggest to my clients. The world is changing, and more and more, we’re going to see that your doctor is going to be requesting a meeting or notes from your fitness coach. That healthcare will be integrated into the fitness industry more closely than we’ve ever seen before. You’re going to find that more and more, that gyms and training schedules will be part of the prescription that doctors give to overweight, or unhealthy patients. If you don’t agree with me, then speak to members of a gym known for its reputation in producing long term health change in it’s clients, and ask them who has had a bigger impact on their health, their doctor or their gym, and they’ll most likely say their gym. This isn’t to brag, this merely to make the point that when it comes to healthier lifestyle choices, and producing fitter healthier more positive human beings, gyms and coaches, not hospitals and doctors are the real experts in the field. Ultimately, prevention is going to become the cure. 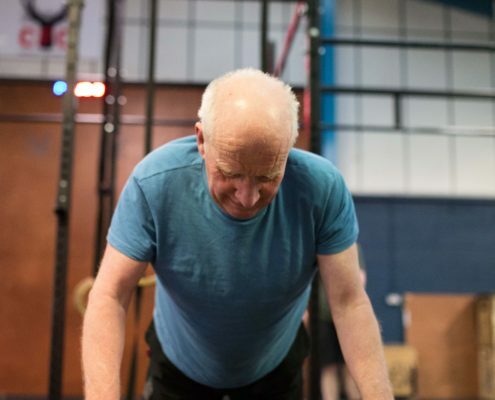 It is far cheaper to invest in £100 a month in an excellent gym program that you use for the rest of your life, than having to suffer the consequences of diseases in later life due to poor health choices. Plus, healthier people, drink less alcohol, eat better food, are less of a burden on the healthcare system, less likely to take sick days and be more productive and have a positive impact on the workplace than less healthy people. Even later in your 60s you can still get the benefit of resistance training. Maintaining bone density helps you bounce, when others might break if fall over. Balance and accuracy too, if not used, atrophy over time. What’s quite amazing about this entire process is that, for someone to adjust themselves to adopting the ‘prevention over cure’ model for health and fitness, the actual changes necessary to make a real and measurable difference are actually quite small. With just a 1% course correction, over time that adds up a measurable difference in health over the long term. Small consistent changes, managed with a knowledgeable and understanding coach can add up to a dramatically different lifestyle and health position in just a few years without sacrificing on the basics such as relationships, enjoying time with friends, and negatively impacting work, which can happen when there is too much of a drastic change in a short term transformation program, as it’s proven some training programs can impact. It’s a very simple choice, either to make the 1% correction now that’s going to lead a measured gap in your own health over the next 5-10 years or more, or continue on the path you’re on, getting the same results as before, and putting yourself at that higher risk of disease in later life. Notwithstanding the positive impact that just coming to a supportive encouraging, growth orientated environment as the gym we run is is going to have on your day, you week, you month your year, your life. There will never be the right time to truly a make a difference to your health, but now is always going to be better than tomorrow.